The availability and distribution of accurate timing information has become crucial to network performance. Even synchronization discrepancies as small as a fraction of a second can cause serious errors. The availability of precise timing not only ensures more accurate operations, it also helps meet quality of service targets and increase customer satisfaction. 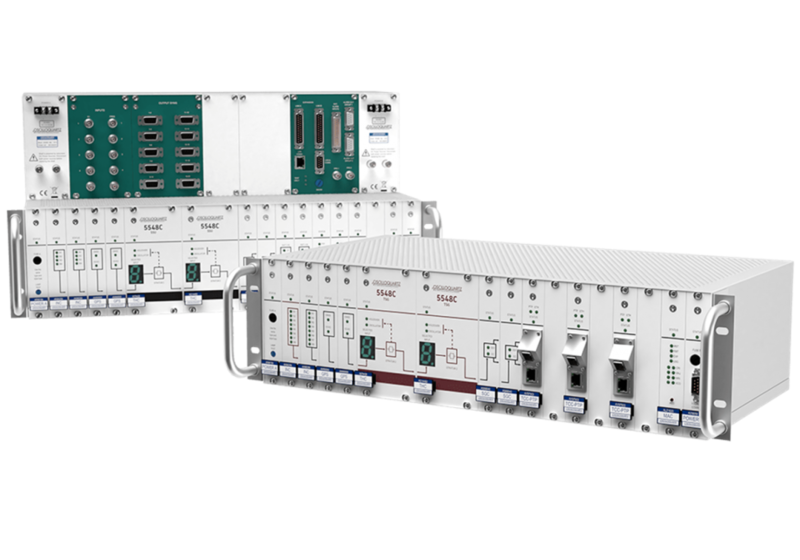 Our OSA 5548C Synchronization Supply Unit (SSU) is a scalable sync solution with an ultra-compact footprint, which makes it ideal for telecoms operators providing scalable network timing in over-crowded exchanges. 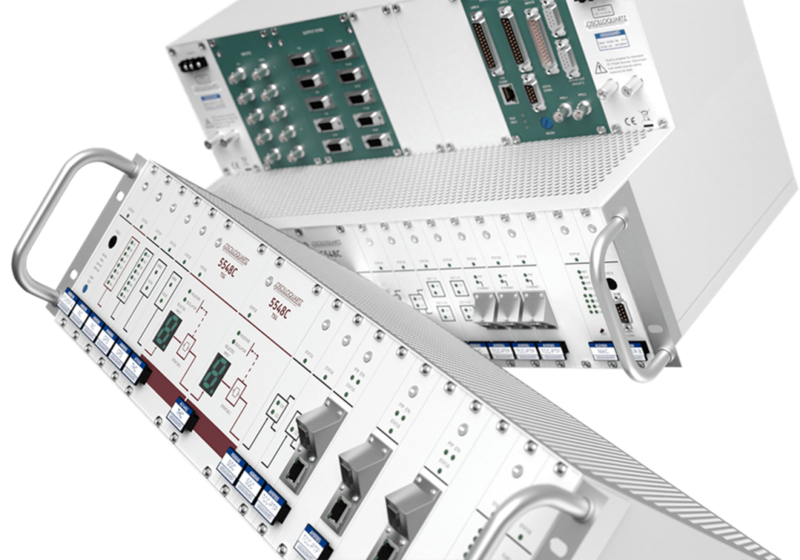 Intuitive and modular architecture enables the OSA 5548C SSU to adapt to all telecom node sizes. 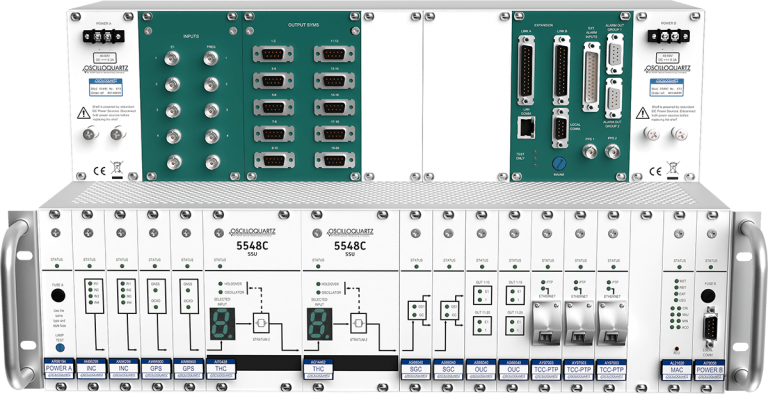 "Our OSA 5548C SSU is fully covered by powerful performance and security management …"
Our OSA 5548C SSU is ideal for highly available and accurate timing distribution. Our OSA 5548C SSU comes with universal input cards that accept a wide range of input signals and is designed to reduce the amount of spares. What’s more, it’s fully covered by our network management software, providing powerful fault, configuration, inventory, performance and security management through an intuitive graphical user interface either locally or from a remote location. It delivers constant measurement of sync quality and triggers alarms when limits are exceeded. All results are forwarded to the network management software for display, user validation and storage. The OSA 5548C SSU’s expandable system provides up to 1000 protected outputs. The distributed intelligence message passing system of our OSA 5548C SSU eliminates single points of failure and guarantees reliable uptime. Core unit and expansion shelves share the same modules, minimizing overall administrative complexity and enabling reduced homologation activity. Optional GPS modules are available to meet Stratum 1 and G.8272 PRTC requirements without the need to install and manage external receivers or cesium primary reference clock sources. Jitter and wander on the reference input are filtered by a high-quality oscillator and DDS technology utilizing rubidium or double-oven quartz technology.